The Best Work SMS. Use image quotations as wallpapers, backgrounds to help inspire and keep pushing forward towards your dreams. Hard work, Will power, & Dedication. 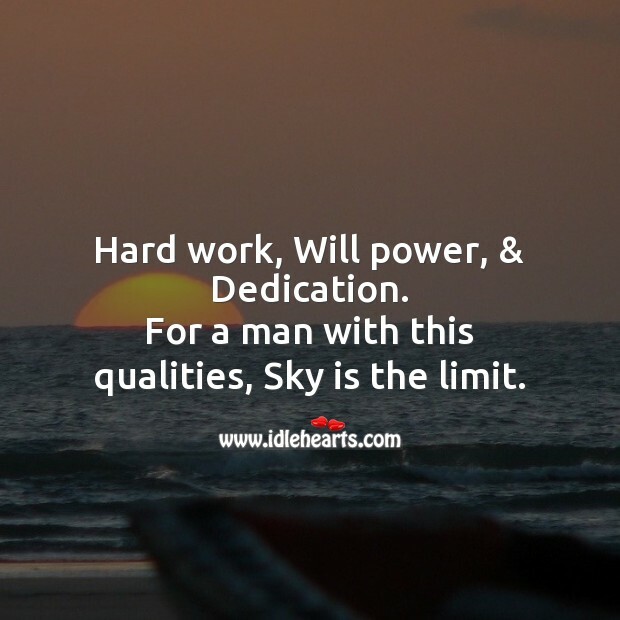 For a man with this qualities, Sky is the limit. 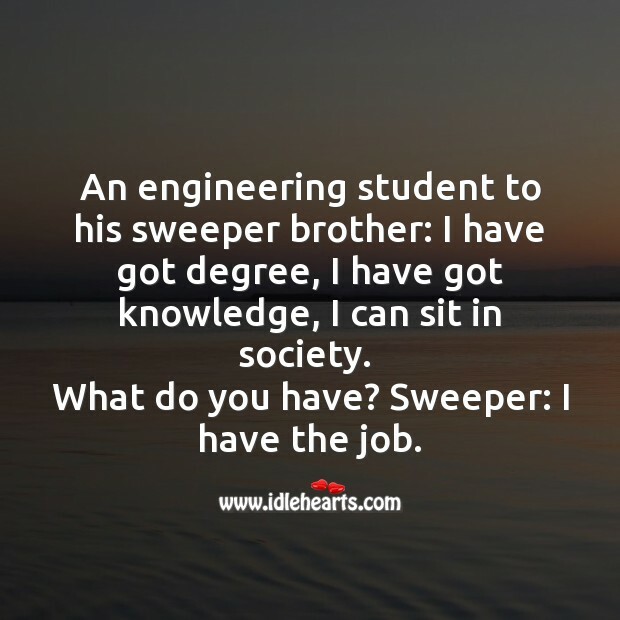 An engineering student to his sweeper brother: I have got degree, I have got knowledge, I can sit in society. What do you have? Sweeper: I have the job.